Catch "The Fetch!" on Star Theory on Blog Talk Radio this Friday, September 9 at 11:00 PM EDT and catch the promotional video here! With all the recent assaults on natural foods and dairy products in the news, it becomes apparent that there is an inherent agenda to deny people the ability to secure and consume higher levels of nutrition for themselves and their families. In the normal "follow the money" type of logic, the rabbit hole revealed a potential disturbing reality. Is the "Kosher Tax" playing a role in the confiscations and assaults on natural foods and healthier nutrition? This episode, recorded on Saturday, August 27, 2011, is archived at the Oracle Broadcasting Network, along with the entire series of Inside the Eye - Live! is a fast paced 2 hour insight into the nature of "the Kosher Tax" and how these taxes are used to support religious organizations and the State (Colony) of Israel at the expense of the greater American republic. You can catch the rebroadcast (archive) here, without being redirected. What is clear is there is an agenda to lower nutrition standards. Attacks on the Codex Alimentarius, natural and organic food supplies, cross pollination with genetically altered seed stocks, and rationing of food production all lead to a lowering of nutrition standards through a combination of policy induced declines in natural food supplies as well as lowering demand and access through an increase in natural food costs. In the case of assaults on natural food supplies, government policies are resulting in increased police actions against family farms. Indeed, the rise of the regulated farm sector is resulting in an environment that supports large, corporate organizations at the expense of the local agricultural producer. Such policies include food and safety regulations, attempts to implement United Nations Agenda 21 regulations, as well as arbitrary rationing of production (production quotas) set by the European Union, all result in assaults on private property and agricultural production. Examples of government policing actions against free market forces abound. In the United Kingdom, where rationing of production has been brought about by treaty with the European Union, some 117 million liters (31.14 million gallons) were confiscated (and presumed) destroyed from "non-quota holders" by the Rural Payments Agency (RPA), while in the United States, a growing and continuing assault on the consumption of raw milk has been gaining more and more news coverage as these assaults increase in both tone and timing. In one well documented case, Traditional Foods of Minnesota found itself in the cross hairs of multiple agencies, led by the Minnesota Department of Agriculture. In the process of serving a "warrant" for the selling of "raw milk", the resulting police action resulted in the confiscation of nearly 50 items, few of which were dairy related. The massive cost to both business and tax payer (the tax payers pay the salary, production, and investigation of the Stasi styled government operatives) is needless and wasteful. In this particular action, the great find by these government officials was that a bottle of pickles had a PH level that was too high. Hundreds of thousands of dollars were spent for an infraction that amounted to what would have been at most a request by the consumer to exchange the product at a cost of less than US$10.00 - to include any fuel to drive to and from the store. The police actions can only be viewed in a larger macro-economic agenda, for in and of themselves, the individual actions appear absurd, senseless, and costly. Regulatory violence against America's food supply is real. The use of military force against "food" proprietors is irrational at best, and the very usage of such points to a very serious occult agenda bent on imposing their way. The practical result of an assault on local rural food supplies is the disruption of these very same food supplies. The result on a general level of observation is that "small and family farms lose" and "large industrial farms and food processing operations" benefit. 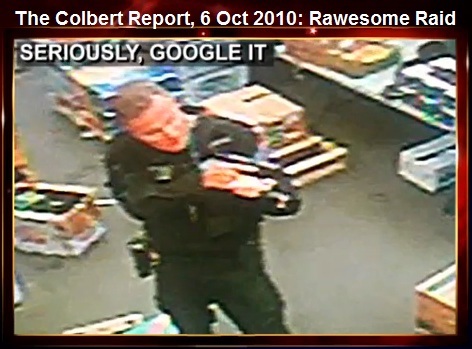 A more pragmatic reality is that natural and unprocessed foods is being forced out of the market through police actions. When this happens, a foothold is introduced that enables processed foods to enter the market. I.e., the same policies at a macro level, say, the assault and takeover of Libya in order to "open the market" for certain business entities is merely duplicated on a micro level right within the United States. A consumer market closed to processed foods due to a thriving natural, unprocessed, locally driven market is seeing its markets "opened" through legal and police actions. The benefit inures to the benefit of the food processors. In this realm do we find the fusion of political connections, moral terpitude, and financial benefit to wage a war on America's remaining free and ethical food supply. The strategy is "the Kosherization of America". Removing the last vestige of American food independence means, literally, that "Kosher foods", "processed and dummied down", inferior in quality and clearly more costly, remain the sole choice at the supermarket. In order to eat, Americans, literally, have to pay first the Rabbi's who proclaim food "fit for Jews" first and foremost. Already, it is estimated that over 16K companies produce over 112K Kosher certified kosher food items. It is estimated that perhaps as much as 90% of processed foods are "kosherized", while up to 40-50% of America's grocery shelves are stocked with kosherized foods and other products. What began as a marketing ploy by the H.J. Heinz company to "certify" a can of beans to be "kosher" and then market this product to America's Jewish community has grown into perhaps one of the most costly and insidious scams of the century. In 1959, when the Kosher Tax was only a US$20 million racket, the Jewish Newsletter reported to Jews that the "Kosher food labelling business" was a racket that was going to be exposed. 50 years later, this scam has grown to engulf nearly the whole of the processed foods market and covers nearly 50% of the retail space in major American supermarkets. Today, single cities can bring in over US$20 million in "certification fees". Kosher certification means that the entire supply chain must be "kosherized". The result is a business model (scam) that is now estimated to be over US$225 billion in retail sales. Some stats include an addition US$325 billion in "kosher materials and ingredients". Just the "certification fees", in some respects a form of extortion, is estimated to be in the range of US$220 million. All the while, this "not for profit" business can deploy a literal war chest to further its direct interests paid for by the general American (and global) citizenry. This war chest frees up capital to divert to the continuing crimes in Israel as well as the regulations needed and lobbied to be enforced to further these surreptitious aims. Church is "blurred" with "state" in an ever growing militarized battle to enforce through sedition Jewish religious dietary laws. The next time you see an assault on America's food supply - follow the money. This episode is really a comprehensive insight into the Kosher Tax. In this installment of Inside the Eye - Live!, we discuss the overt use of media assets in an effort to control mass perceptions. It is through the control of mass perceptions that we find the ability of those who own mass media to literally control the course of political events by promoting preferred political candidates and trivializing, or worse, ignoring, legitimate political voices. 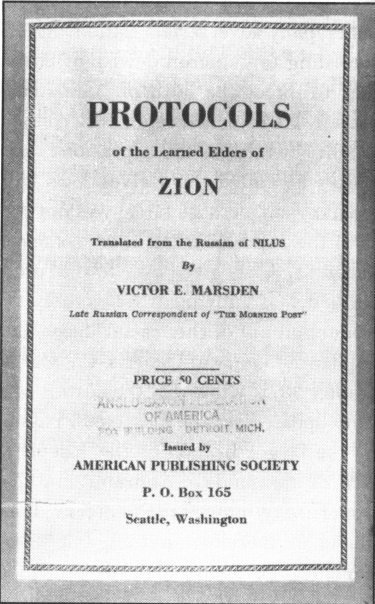 Perhaps no document causes global Jewish organs to rise up in protest or worse than the very mention of the "Protocols of Zion". 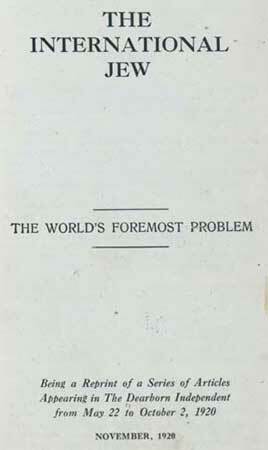 Sold by Jewish organs as "a forgery", the principles contained within the Protocols of Zionappear to be, in reality, the literal "blue print" of the modern idea of a "New World Order". In the process of creating the idea of a "New World Order", it becomes paramount to control the minds of the masses such that the masses are either neutralized into inactivity, or rise up in framed indignations such that the same said masses can be crushed further. Control is brought about, therefore, through controlled "democratic self inflictions" or through violent revolutions. The end goal remains the same: power and control. The ultimate prize is the control of the human mind at a mass perception level. "The Talmud states that if gentiles rob Israel of silver they will pay it back in gold, and all that is taken will be paid back in folds, but in cases like these there is nothing to pay back, since as I said – the life of one yeshiva boy is worth more than the lives of 1,000 Arabs." Sadly, too often, when one screams "Nazi", too many of you indeed choose to not see. 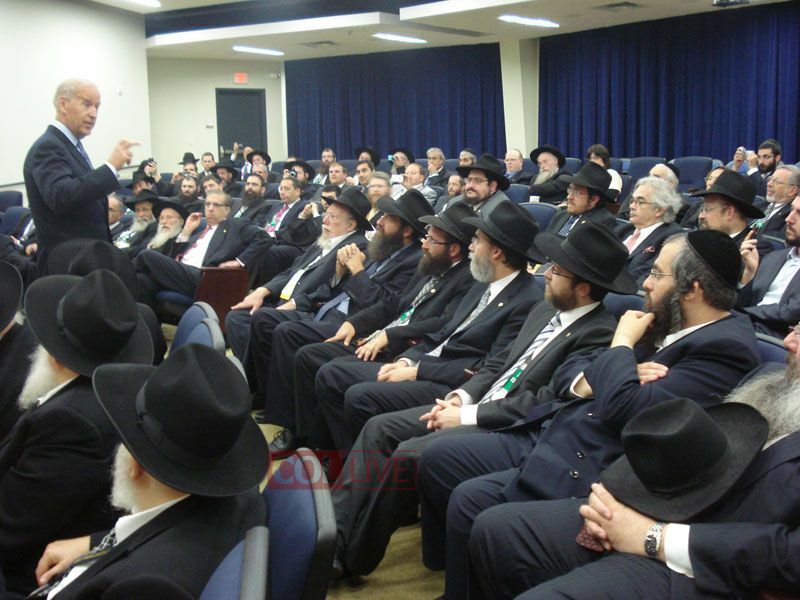 It is clear that Rabbi Eliyahu is very much in line with the Protocols of Zion. - emphasis in the original. Indeed, of the many themes within the Protocols of Zion, it is the use and manipulation of the press that remains a core tenet to the idea of "control of the masses". The current total disregard for journalistic integrity and overt abuse of the press by Jewish organs today was too prevalent over 100 years ago. Henry Ford, perhaps one of the greatest icons of American business, built a global empire through the principle of mass production and paying as high a salary as possible to the employees who helped make and market the final product. This strategy propelled Henry Ford from an obscure investor to one of America's leading industrial tycoons. His brand, the Ford Motor Company, remains to this day one of the leading brands in world. The number of newspapers gradually diminished through combinations of publications. Adolph S. Ochs, a Philadelphia Jew, acquired the "NewYork Times." He soon made it into a great newspaper, but one whose bias is to serve the Jews. It is the quality of the Times as a newspaper that makes it so weighty as a Jewish organ. In this paper the Jews are persistently lauded, eulogized and defended, no such tenderness is granted other races. Then Hearst came into the field, a dangerous agitator because he notonly agitates the wrong things, but because he agitates the wrong classof people. He surrounded himself with a coterie of Jews, pandered to them,worked hand in glove with them, but never told the truth about them, nevergave them away. The trend toward Jewish control of the press set in strongly, and has continued that way ever since. The old names, made great by great editors and American policies, slowly dimmed. The total abuse of the Jewish controlled media has now blossomed into total overt arrogance. 9-11, clearly a political act of terror in support of Israel, remains a story sold by global Jewish press organs as somehow within the capacity of a rogue set of Arabs and for which the Western democracies must bankrupt their treasuries to support Israel's "War on Terror". Never mind that the news generated regarding 9-11 was a made for TV event, an event wherein the control of the national feeds is in the hands of Jewish ultra-nationalists. It was such a scripted event that the timing of the script sometimes was a little off. The "Saloman Bldg." can be seen standing in the background. It would not be pulled by the orders of Silverstein for about an hour later. Of course, with this overt control and clear abuse of this press to frame realities, these Jewish electronic media bring "beacon of light" by "beacon of light" in the form of a talking head to "instruct the people" what is the accepted reality of the day. Lost in all the charges and counter charges is a hidden Qaballistic reality. "International Jew" is todays "globalist" and New World Orderist. They may not all be "Jews", but they follow and play the same Kabballistic script. This entertaining show highlights this in a fast paced two hour show. Big Oil and the Geopolitics of Genocide - Inside the Eye - Live! In this episode of Inside the Eye - Live!, we discussed the reality that wherever "big oil" goes, genocide precedes or soon follows. I call this "Big Oil and the Geopolitics of Genocide". The show was a bit slow to develop as but picked up nicely at the bottom of the first hour. There was a few technical glitches...seems Skype was having a hard time maintaining a connection, so we had two periods of dead air. The chat room was lively, peaking at 28 guests. For those not familiar, you can reach the chat room at Inside the Eye on Chatango. In 1951, the Iran nationalized its the in country oil industry, resulting in the expulsion of the Anglo Persian oil company. In an effort to re-enter the Iranian market, the United States State Department recommended the formation of a consortium of the 7 leading oil firms. 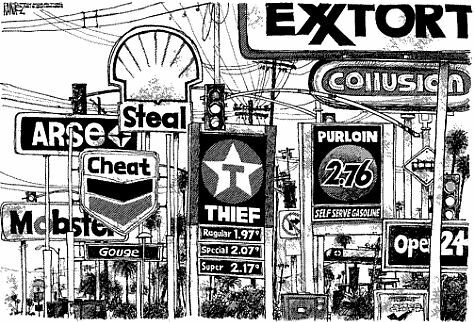 These firms were Standard Oil of New Jersey and Standard Oil of New York (now Exxon Mobile), Standard Oil of California, Gulf Oil and Texaco (now Chevron), Royal Dutch Shell, and the Anglo Persian Oil Company (now British Petroleum - aka BP). The term "7 Sisters" was coined by Italian businessman Enrico Mattei, the former head of the Italian state oil company ENI (Enti Nazionale Indrocarburi). As ENI was a "small cat" trying to feed from the bowl surrounded by "big dogs", Enrico was forced to find and negotiate fuel from disparate sources, including the then Soviet Union and the French sphere of influence, Algeria. Along the way, Mattei would make more than a few international enemies, the result of which was his being killed by an on-board bomb blowing he and his plane out of the sky. The crash debris was tampered and an effective cover-up was put into place. Where Enrico was inspired by the name is unknown, but a few ideas are offered. One known "7 Sisters" is near Tottenham, in London, where 7 elms were planted in a circle with a walnut tree in the center. 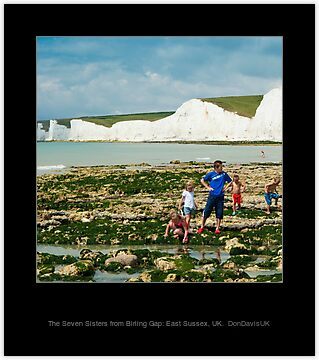 Another "7 sisters" inspiration could have been the "white cliffs of Dover", a series of 7 chalk cliffs overlooking the English channel that are too known as "the Seven Sisters". 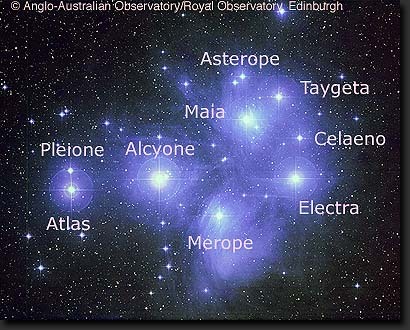 Then again, the Seven Sisters inspiration could also have been derived from mythology, or the constellation of Pleiades, the seven star cluster in Greek mythology that represented the rise and fall of the summer season and through which many of the prominent male Greek deities had affairs with which resulted in the birth of children. Whatever the inspiration for the name, the 7 Sisters were the most powerful trans-national companies of their day, controlling nearly 85% of known global oil reserves in 1973. Although the Dutch could be seen today as being rather pragmatic people, such was not always the case, especially when viewed in light of Dutch exploitation of Indonesia. Of all the countries of South Asia, Indonesia is the pearl as to wealth of raw materials in South East Asia. 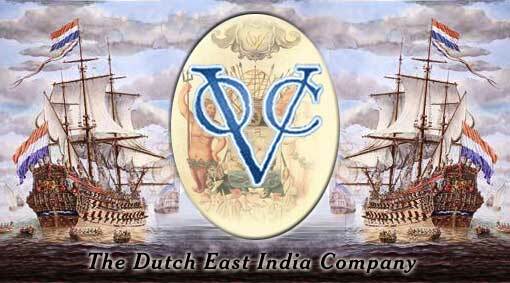 Rich in fish, timber, fuel, minerals, rubber, agriculture, and cheap labor, Indonesia proved to be a centuries long exploitation cow for Denmark via the Dutch East India Company. Many times the populace rose up in protest, and many times the insurrection and protests were violently silenced. By the 1920's, the rise of Jewish Bolshevism had taken root in the newly formed Soviet Union and communism as a political idea was being exported. Communism took hold in Indonesia under the Sukarno and the PKI. Although named "communist", the PKI and the directed management strategies employed by the PKI were more a grass roots political organization competing with the overt exploitation at the hands of the Dutch. The numbers of the PKI would grow to over 12 million at the grass roots level, but during the 1950's, lower level echelons of the PKI began to confiscate properties of Western companies. Such confiscations were against the directives of the PKI leadership, a leadership which sought a balance between Western property interests and the angry interests of the PKI political base. By the 1960's, Sukarno, the head of the PKI, was actively on Western assassination wish lists, with even President Kennedy seeking Sukarno's elimination. Such was the paranoia of the West relative to anything labelled "communism". Yet, as early as the 1950's, a strategic plan had been put in place to bring Indonesia firmly into the hands of the United States. This plan, known to some as "the Jakarta model", would be sprung in the Spring of 1965. A key strategy used by TNC's (trans-national corporations) to control a country's economy is to control the heads of various ministries within the targeted country. In order to accomplish this, a period of "educational investment" must be put in motion. Capable, connected, and able students are brought from foreign countries and placed into universities for education in the United States. Historically, these Universities have been the University of California at Berkeley, the University of Chicago in Illinois, Harvard University, Columbia University, and to a lesser extent, University of Californian at Stanford. I am sure there are others, but these have a history of enabling and training humnan capital for corporate nation takeovers. In the case of Indonesia, a group that would become known as "the Berkeley Mafia" was instrumental in the TNC take-over of Indonesia. The Berkeley Mafia were educated at the University of California at Berkeley with major support from the Ford Foundation. The education (indoctrination) was an early experiment in what would later become "globalization". When these students returned to Indonesia in the early 1960's, they began lecturing, primarily to the Army. When the Army declared war on the PKI in 1965, the Berkeley Mafia was well placed to fill the vacuum and begin implementing the policies taught to them while attending University in the United States. Many would fill key ministerial and advisory roles, preaching the virtues of deregulation. They were seen by nationalists as traitors who were selling out the nations resources to trans-national corporations, which is precisely what they were trained and taught to do. This same model would be employed in the takeover of Chile, except the group was involved was in the intellectual takeover of the Chile was known as "the Chicago Boys". With the intellectual (intelligentsia) bases covered in key, strategic areas, the takeover of Indonesia turned to the military front. Under the pretexts of a failed coup attempt by junior officers, the Army conducted a massive pogrom of the PKI. This pogrom resulted in estimated deaths of perhaps over 1 million people, with the action fully supported by the United States State Department which even provided through the United States Embassy a list of over 5000 names which the US State Department and CIA wished to have "killed". This total slaughter of the grass roots Indonesian PKI was enabled through collaboration with Stalin, who effectively ordered the PKI to "stand down" and not fight back. It is not so much that "the communists" lost Indonesia. It is more to the point that the Communists like Stalin were in all probability collaborating with the Jewish banking elite in America and the game plan was to further the exploitation of Indonesia absolutely. A good read on this side of the history comes from the World Socialist Web Site. One has to wonder just why Stalin would have ordered a complete capitulation. By 1967, with Indonesia essentially "cleansed" of the PKI through the literal annihilation of the entire movement and their families, Indonesia was declared "open for business". A conference was held in Switzerland to sell the virtues of this newly opened market for TNC's and many of the same Synarchic names were eager and did attend. These names included David Rockefeller and other top businessmen as well as Transnational corporations (TNCs) included ICI, Siemens, British Leyland, Heinz, General Motors, British American Tobacco (BAT), Daimler-Benz, American Express, Chase Manhattan Bank, Warburg & Co., Dunlop, Standard Oil, US Steel, Aluminium Co. of America, International Paper Co., and the Swiss Bank Corp. The issue is important because the tactics are employed over and over again. It is time to become more aware and to be able to respond to these Occult forces in play. Whether Allende in Chile, Saddam in Iraq, the Taliban, Somalia, Sudan, Kosovo, etc., it is the same tactics and people at work. The primary motivation seems to either "balkanize" a country, splitting off the profitable part and from the "chafe" in order to either build an oil pipeline or secure direct control of known or perceived oil and gas production fields. Big Oil, time and time again, has shown that the geopolitics of genocide is the preferred modus operandi. In Indonesia, ExxonMobile was sued for genocide in Aceh province. In Somalia, American oil firms were granted exclusive concessions, but first came the arming of the local protective "government", an ensuing civil war (genocide), with the result of chaos for decades. Afghanistan - a war for poppies and pipe routes. As Big Oil continues to be motivated by pre-1940's colonial thinking at the macro elite level, newer business models are arriving. China comes with money and projects. America comes with IMF, Austerity, Guns, and Genocide. Who do the locals wish to work with? American policies are outdated and worn, and increasingly, being exposed as increasingly evil and anathema to human relations. The war on terror is not about protecting one from terror - it is about projecting and using terror in the benefit of money and greed to the detriment of all save for the TNC's to be benefited. This show at Inside the Eye - Live! on the Oracle Broadcasting Network brings some of these ideas and information to life. Inside the Eye - Live! has, well, finally, gone live! Building on the success of the Illuminatus Observor and the Inside the Eye, the podcast companion to the Illuminatus Observor, we have accepted a Saturday morning show on the Oracle Broadcasting Network. So you can now catch "The Fetch" live every Saturday from 10:00AM CDT - 12:00PM CDT on Inside the Eye - Live! at the Oracle Broadcasting Network. This past Saturday, Aug. 6, 2011, was our second live show. The first was lost due to technical difficulties in recording and archiving. With the issue fixed, show number 2 went off well and with some minor but manageable technical glitches. In focus was the idea of "a New World Order". You can catch this show here or view the archives for Inside the Eye - Live! here. Perhaps one of the greatest source books we have on the study of the philosophy of the Illuminati (Luciferianism) is a book called "On Isis and Osiris" by Plutarch. In this book we find many allegorical details regarding the competing metaphysical/political/religious ideals contained within what is termed "the Construct". Yet we will find that in games with playing cards (especially the game of Bridge), it is the "trumps" which is "above all". Hence if you "trump" something, it is said that you neutralize and defeat something. Allegorically, we find the link between the philosophies of Jewish metaphysics and their relationship with their god Jehovah/Typhon/Seth and the believe that same "god" is above all others. Plutarch advanced the idea that there was (and remains) two opposing forces, one that is predominantly good - Osiris, and one that was inherently evil - Jehovah/Typhon/Seth. The names go through many different transpositions and literary examples, but the theme remains. As a part of cosmic balance, the planet goes through 3000 year cycles of beneficence and maleficence. We cannot help but think that the hells and horrors of the Piscean Age were to the early philosophers of the Mysteries a clear evidence of the rise of Areimanius. It could also be believe that the horror witnessed today are but the final attempted workings of this same daemon. The point here is that the New World Order - an idea predicated on a people with one government and speaking one tongue, is akin to the perverted and inverted idea of a "One World Order" which, as Orwell, the author of 1984, is akin to a boot on the neck of humanity, forever. Behind all the distractions and diversions remains larger Occult agendas. At the face of such, there is nothing wrong with agendas. Groups, to include nations, have their interests and motivations for which they would like to see advanced. These Occult agendas surface in subtle manners such that, observing any given particular event, appears insignificant and disjointed. However, when a series of events become as a stream in a river, the river of events very existence via observation hints at a larger, more organized, agenda. Our colloquial for it is, "Where there is smoke, there is fire." What we have seen in America and many of Western civilization, and especially English speaking lands, is an agenda by Jewish organs to control media such that mass thought can be better controlled, shaped, and molded. These efforts are not for the betterment of the people, but rather for the betterment of "Jewish" interests - largely Israel, but also domestically, where efforts to contain threats to a growing power have been put in place such as to ensure a particular intellectual and economic primacy. These agendas mirror the very workings and ideas as to what many conspiracy rationalists view as the coming "New World Order". Hence, in more frank and open sites, the idea is advanced as "a Jew World Order". In this show at Inside the Eye - Live! we delve into the concept and discuss the idea at length including with live callers. One should never underestimate the power of an organized elite working for their own agenda, especially when this agenda is at odds with the welfare and benefit of the people of a Republic as the United States. The whole idea of a "9-11" was a Kabballistic code. The two Gulf Wars and the recent war on Libya were all either launched or had major offensives launched on Purim, a strategic Jewish holiday. These are no accidents. While the Republic's funds and pays interest or usury to a foreign private corporation, the Rothschild United States Federal Reserve Bank, for the privilege of this bank "printing" the money for the Republic, the agents of this same bank are busy organizing for the defense of a Noahidist rise to power. What is at stake behind all the spook, slander, and silence, is a long term agenda to create an openly American Jewish Theocratic state, or - to turn America into Israel in form and function. This has been essentially accomplished at many levels. Americans are now herded like Palestinians into having their very dignity assaulted for the "privilege" of boarding an air plane - as if the days of the horse and buggy still exist and that somehow, a trip from Los Angeles to Washington DC via the air space of the United States is a "privilege". Questioning the authority of the state may result in even the "privilege" of flying literally revoked by some unseen apparatchik. So much of what is America has been lost due to the event of 9-11, an event that could only have been accomplished through instruments of state - and these instruments are clearly and largely under the control of dual citizens loyal to Israel. Israel is but a Jewish theocracy, the type of government warned and specifically guarded against through the idea of a separation of church and state. Many of these issues are packed into a 2 hour show at Inside the Eye - Live! We hope you take a listen and, if you enjoy, tell a friend and come back again for more political correctness by "the Fetch"
In a continuous effort to bridge the gap between advanced, contemporary occult inquiry and pragmatic political observations, Inside the Eye has now "gone Live!" at the Oracle Broadcasting Network. "The Fetch" joins the broadcasting team at Oracle Broadcasting each and every Saturday from 10:00 AM - 12:00 PM CDT (GMT -8). So come and join "the Fetch" for an entertaining two hours. Click on the "Listen Live" link. The show is entitled "Inside the Eye - Live!". This show is a progression from efforts at the highly successful and podcast companion to the Illuminatus Observor, Inside the Eye. Rupert Murdoch is an Israeli ultra nationalist. Although Israel is a terrorist state by its core nature, it is the "ultra-Nationalists" who are at the core root of this very scourge of "terror" we find at the core of Western civilization focus at present. This idea of "a war on Terror" is specifically so due to the racist ideologies of the Israeli ultra-nationalists as Robert Murdoch. It was and remains Israeli ultra-Nationalists who can be found at nearly every critical operation behind the terror attacks on New York City and the Pentagon on September 11, 2001. In short - all evidence points to Israeli ultra-Nationalists as the likely agents behind the terror attacks hitting much of the West. Murdoch's control of major media outlets across the English speaking world allows for Israeli ultra-Nationalists to deflect from their involvement in these attacks on Western civilization and create the aura that such attacks are the result of enemies of "Israel". In the process, Israeli ultra-Nationalists seek to portray themselves as being in "the same boat" as Western civilization. Of course, what is Jewish is Semitic in origin and to presume that what is Jewish is somehow linked to the Pagan world of Western civilization is an absurd disconsonant connection. Such disconsonance is at the very heart of Jewish media operations which Murdoch lords over. Murdoch should be viewed as an extension of the State of Israel, and consequently, his mouthpieces and tentacles in the media are but an extension of Jewish efforts to control thought within Western civilization. Murdoch has been caught hacking into cell phones. Of course, this "hacking" is, all likelihood, part of a larger effort by the Jewish state to manage information. Through the hacking of cell phones, voice mails that might hint of other realities that the Jewish press in general does not want to be brought to the light, can be subsequently swept. Murdoch, through his agents and companies, has essentially been caught running a parallel spy operation under the aegis of "media roqueness". The truth is, Murdoch, through his tentacles, has used his hacking of cell phones to not only delete and hence suppress potential evidence, he has been caught bribing and hence controlling politicians through the hacking of cell phones. The message from Murdoch and the Israeli ultra-Nationalists is very clear: "we control the media, and we have information that can be damaging. You either support us Jews or we Jews will destroy you. First - through our control of the media, and second, through our on ground agents in the guise of Jewish organizations. The tactic is ruthless and deadly effective. Jewish (pfft - call it Zionist if you feel like being politically incorrect) terror against the peoples of the world continues unabated, as witnessed in Norway. After over a decade of contributing to public perception via mass market political and conspiracy forums, the Fetch returns to share his unique insights - live and uncensored - on the Oracle Broadcasting Network. 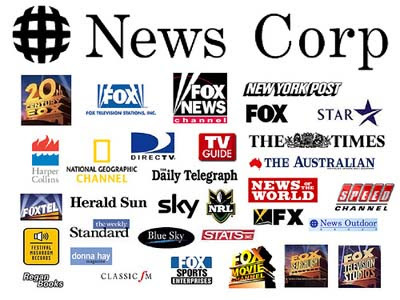 The premier show covered the Murdoch, and hence by extension, the Jewish ultra-Nationalist spying scandal via the use of media assets. Each week will bring more astute political correctness (the truth - not the inversion thereof). 2 hours of "The Fetch", Live - Inside the Eye. Entertaining talk, live caller participation. Join us if you can. If not, do check out the archives at Oracle Broadcasting Network. Of course, all link data will be available here at the Illuminatus Observor. The premier show had a technical glitch so the archive of the show did not record. We hope to have this debugged for this Saturday, August 6, 2011. Not sure yet what the show will be about, but it will surely bring some global news and views into perspective.